Tetanus Toxoid (TT) Injection During Pregnancy - When It Is Given? Why And When Is The Tetanus Toxoid (TT) Vaccine Given During Pregnancy? 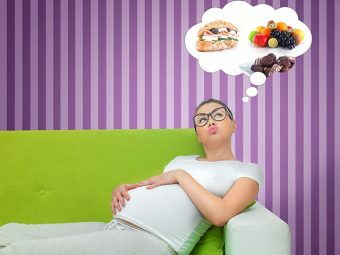 Though pregnancy is mostly about pampering and happiness, it is also a time when you must be extremely cautious. With so many changes happening inside you, there are always chances of contracting a disease that may prove harmful to you and your baby. One such risk is the chance of contracting tetanus during pregnancy. The infection can be transmitted to the fetus and can be life-threatening for both mother and baby. 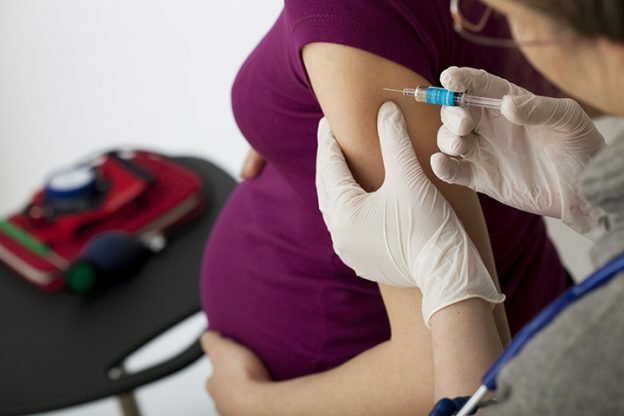 Therefore, it is important to understand about tetanus and its vaccinations in pregnancy. Tetanus is a life threatening bacterial condition caused by Clostridium tetani, that is a common toxic bacterium. The tetanus bacteria can easily pass into the body through an open wound. Anything from light scratch on the skin to a deep wound caused by a bite, burn, lacerations can aid bacterial penetration into the skin. Once the bacteria enters into the skin, it produces a toxin known as tetenospasmin in the bloodstream. It thus attacks the nervous system that can lead to death if not treated on time. The incubation period of the bacterium varies from 3 to 21 days. The symptoms of tetanus are lockjaw (mild contractions of the jaw muscles), stiffness in the neck, abdominal muscles, spinal fractures and swallowing difficulty. Some rare signs include fever, elevated blood pressure, sweating and rapid heart beat. Tetanus is preventable by vaccination. Antibodies form in your body after vaccination that pass to your little one and protect her for some months after birth. Neonatal tetanus is a severely fatal condition that affects newborns mostly because of the use of unsterilized cutting instruments and unhealed umbilical cord stumps. Babies are affected because they have no immunity that passes from the mother who has not been immunized. It is therefore of high importance that pregnant women should take the Tetanus Toxoid vaccine. Most of the countries follow a universal standard for Tetanus Toxoid (TT) immunization for mother health care. Women who had an unsafe abortion and those who happen to carry a tetanus prone wound should go for TT vaccination to prevent any tetanus risks. It is also important to administer TT vaccine in rural areas since deliveries happen in unsafe conditions. Shake the vial containing the vaccine vigorously so that the sediment properly mixes with the fluid. A shake test is compulsory to ensure that the vial is not damaged while being frozen and thawed. Vaccines that are previously frozen should not be used. Following is the schedule for vaccinating pregnant women that are recommended by the American Congress of Obstetrics and Gynecologists (ACOG). The immunization will only be given after thorough screening of your medical reports. If the pregnant woman has never been vaccinated before or her immunization results are not known, two doses of TT/Td are given one month before delivery and further doses as per table one. If the pregnant woman had 1 to 4 TT doses earlier, the rest one dose of TT/Td can be given before delivery. If the pregnant woman shows vaccination proofs of her infancy, childhood and adolescence of tetanus containing vaccines like TT, Td, DTP or DT, doses are given as per table two. For complete protection during pregnancy, the last TT dose should be given two weeks before delivery. The doses are recorded on a personal immunization card that a woman should keep with her. If it is your first pregnancy, your healthcare provider will recommend two doses of tetanus vaccine during pregnancy. 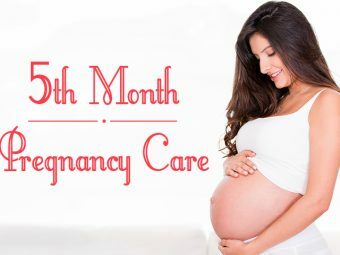 The first dose will be given in the third trimester that can be around the seventh month in pregnancy. The second dose will be given after four weeks of the first dose. The WHO recommends a third dose as well that is given after six months of the second dose. This is to offer protection against the tetanus for at least five years. Few doctors prefer giving three doses, the first at 28 weeks of pregnancy. While some prefer in the first trimester when all the tests are confirmed. Your healthcare provider will go through your vaccination history and will then recommend doses accordingly. If you are pregnant again within two years of your first and have received two doses in the first pregnancy, you will be given only one booster dose. If you are again pregnant after a long gap, the vaccination schedule will differ. Your doctor will assess you and schedule the doses accordingly. If you get hurt after taking any of the TT vaccine doses, you do not require any shot right away. The vaccine already starts forming antibodies which protect your body from any infections. At the same, it is better to check with your doctor if you have serious injuries. While TT vaccine offers the necessary protection to the baby by transferring antibodies from the mother, it is also important that the delivery is done in hygienic practices so as to prevent maternal and neonatal tetanus conditions. Don’t hesitate to consult your doctor for any problem. Stay aware and stay healthy. Don’t forget to share your views on the same with us in the comment section below.